Welcome to Organization Design Inc. Welcome to Organization Planning & Design, Inc.
We help organizations create sustainable competitive advantages. Understanding and declaring your means of differentiation. Designing and aligning systems and processes around your most competitive work. Using best practice tools to align the hearts and minds of your organization around your strategy. Building capability and competence through leadership and team development. 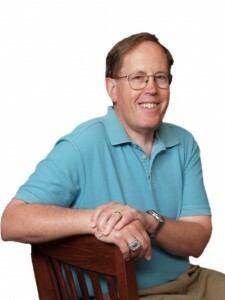 Paul Gustavson founded Organization Planning & Design, Inc. in 1984. We are in the business of helping our clients achieve their desired outcomes. Over the years, we have been privileged to work with clients who’ve been recognized nationally for innovative organizational design. Workplace teams are supposed to harness employees’ talents to tackle challenges. But the reality often falls short…Now imagine having a team where everyone steps up and performs all of the leadership tasks. Imagine a team that is constantly sharing knowledge and pushing the envelope – one that does long term planning and produces outstanding performance. A Team of Leaders shows readers how to design systems that nurture the leadership potential of every employee – the key to creating high-performance teams. The book’s proven principles and techniques include: The Five-Stage Team Development Model that maps the transition from traditional to self-directed teams; Best practices in team process design; a Team Value Creation Tool that allows members to appreciate the significance of what they contribute each day; Visual Management; and more.